​​Michigan fans have a sense of humor, too. After yet another disappointing end to the season, in which they were spanked by Ohio State and eventually Florida in their bowl game, Jim Harbaugh and Co. have some work to do. Returning the likes of Shea Patterson and Donovan Peoples-Jones, the Wolverines ought to at least be competent on the offensive side of the ball. 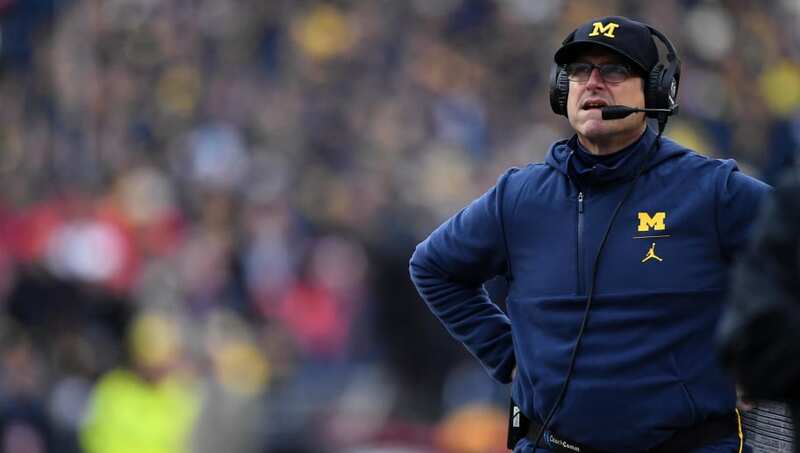 While Michigan fans continue to wait for Harbaugh's offense to take hold, one supporter offered up some helpful advice via a banner flown over the stadium during the team's Spring Game. Harbaugh's offense with the Wolverines has been fairly predictable, with heavy-run formations and the occasional spread look. ​With new OC Josh Gattis, expect Michigan to open thins up a little bit, spending far more time in the (gasps) shotgun and giving Patterson freedom at the line of scrimmage. The Spring Game was our first look at Michigan's new-look system. Hopefully this fan has some patience.